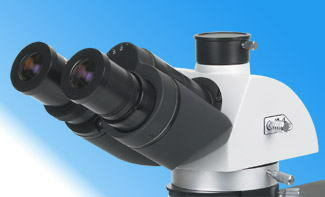 The XY-P series polarizing biological microscopes is incorporated with excellent optical systems and dependable manipulation. 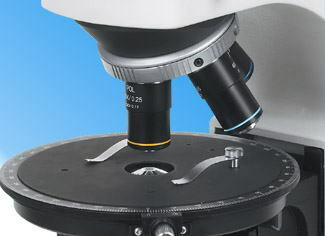 They are widely used in analyzing and appraising various mineral samples. 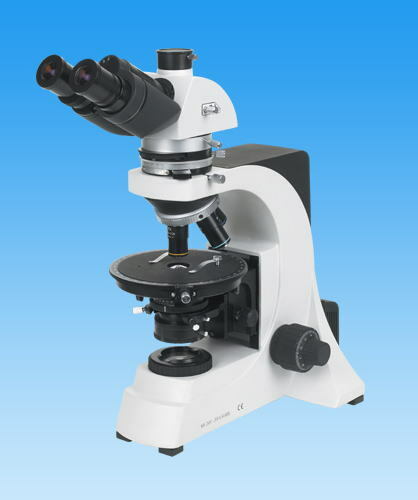 *Midist head :rotate range: 90°, A dose value of vernier 6', can shift out the optical path, Bretrand lens diverter and focusing handwheel, center adjustment. 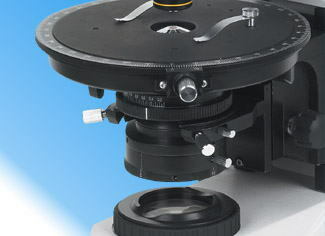 *Nosepiece:quadruple nosepiece completed with infinity plan distressing objective lenses (4X,10X,20X,40X,100X), the objective center is consistant with the rotation worktable center. *Rotation stage:360°; locking apparatus; a dose value of vernier 6'. *Illumination: 6V/30W halogen bulb (Philips5761) koehler illuminator system. Comes with NA1.2/0.22 swing type achromatic condenser, 90V~240V AC, brightness adjustment. 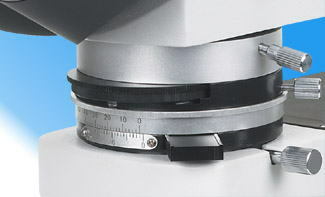 *Polarizer: 60°(0°/90°/180°/270° four graduations) rotation vibration, locking apparatus, can shift out the optical path. 90V~240V fluctuate of voltage 6V/30W halogen bulb, brightness adjustment.